What is India Solar EPC Directory? Solar Mango’s India Solar EPC Directory is a showcase of more than 1000 Solar EPCs from all four regions (North, South, East and West) across India and will be the first reference to investors and developers of solar power projects for selection of an EPC vendor. This is the only directory and showcase for Indian Solar EPCs to present and promote their work, and for solar power developers and investors to find them. 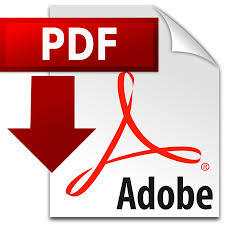 The directory makes a powerful tool to promote your brand to your potential clients. Why you should list your Solar Company in the EPC Directory? This Directory will be made available for free to thousands of prospective solar power plant investors and will be in a downloadable PDF format. Users of the directory will be allowed to filter the database of EPCs according to specifics like region, sectors catered to, capacity installed by the EPC and more. This will be a valuable asset to 1,00,000+* Solar Developers, Investors and other corporate decision makers throughout the year. 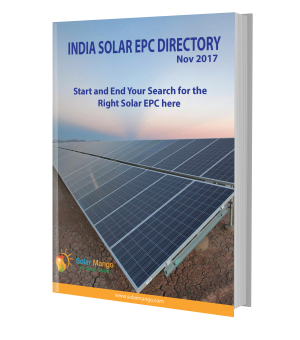 Apart from the online version, Solar Mango’s India Solar EPC Directory will be reaching over 1000 prospective solar clients and important stakeholders such as industry associations, nodal agencies and top bureaucrats - as a hard copy. So, what’s on the EPC Directory? What information should you provide to Solar Mango to be listed? As we will be categorizing EPCs according to their geographic locations and functional capabilities, we would require relevant information. Kindly fill up the form on the right side on this page. We will get back to you shortly. The Solar Mango team is one of the most sought after consultants in India for diverse business assistance by stakeholders from many key sectors, including government, EPCs and solar Power Plant developers. We run India’s popular solar portal @ www.solarmango.com, which gets a significant number of industry visitors every day. In addition, our sister site www.eai.in is the country’s largest renewable energy web portal and includes a popular renewable energy newsletter. Put together, our online assets get over 5000 visitors every day and access to over 1,00,000 prospective solar power plant developers. Our team has also conducted many popular Renewable Energy and Solar Exhibitions and Conferences in the past several years – RENERGY 2012,’13&’14, REAction, MW Solar Blueprint etc. Wish to list your company in India’s first Solar EPC directory from Solar Mango? 1000 Solar EPCs have already listed! We reiterate that the listing in the EPC directory is free. However do note that only genuine solar EPCs will be included, and we reserve the right to refuse inclusion of any applicant. Make it EASY for your Solar Prospects to find you!